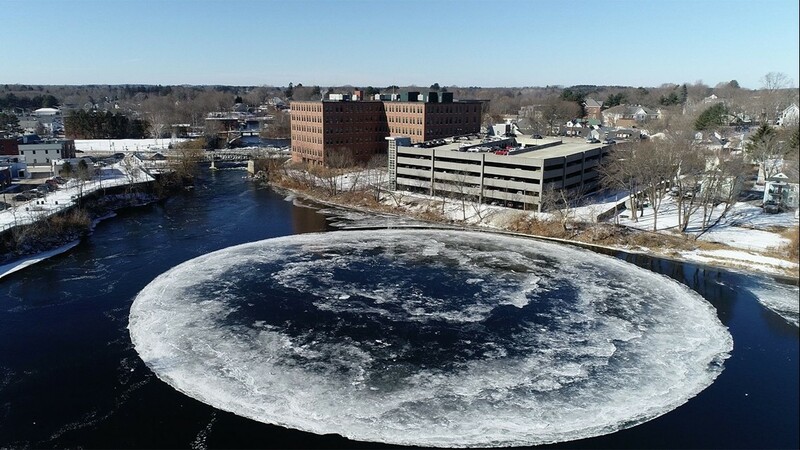 There's a massive disk of ice floating in the Presumpscot River in Westbrook and no one knows exactly why. But it's pretty neat. 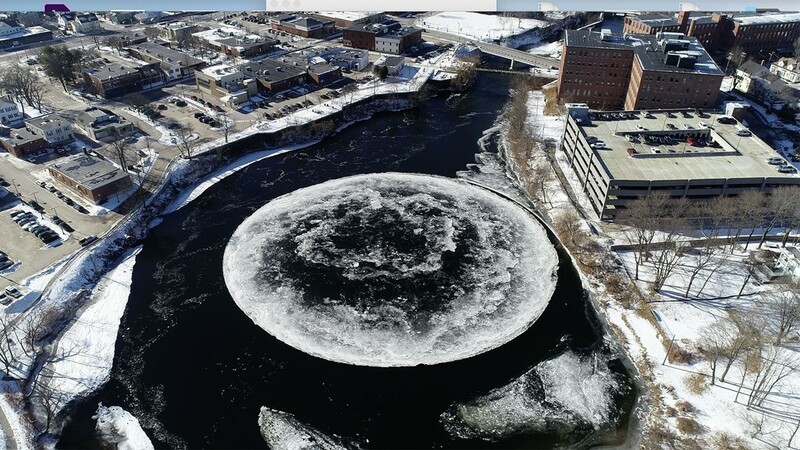 WESTBROOK, Maine — Incredible aerial images captured Monday by the city of Westbrook show a giant ice disk floating and rotating in the Presumpscot River. The formation is located near Saccarappa Falls behind the Dana Court parking garage and the end of Ash Street on the other side and has been attracting Mainers across the state. City employee Tina Radel said the ice is slowly rotating counter-clockwise and that birds have been using it as a resting area. Radel, who took the photos, called it a natural phenomenon. A combination of fast current in deep water and slow current in shallow water with water-freezing temperatures creates ice, which forms in the shallows. The currents create an eddy. 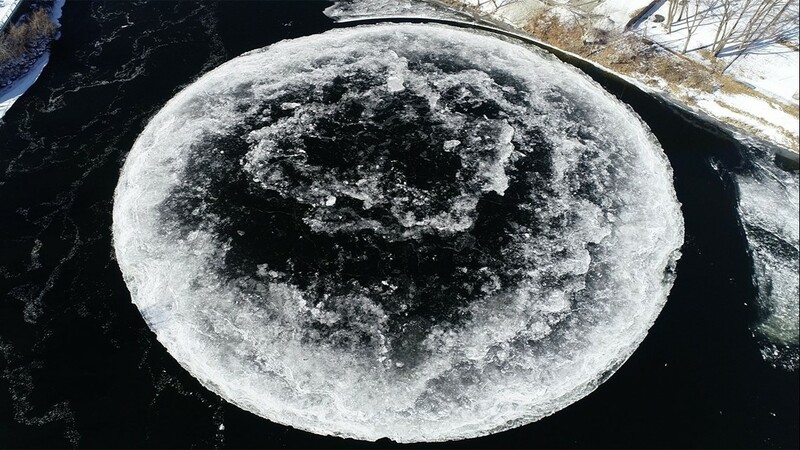 Ice rotates and builds to form a disc.